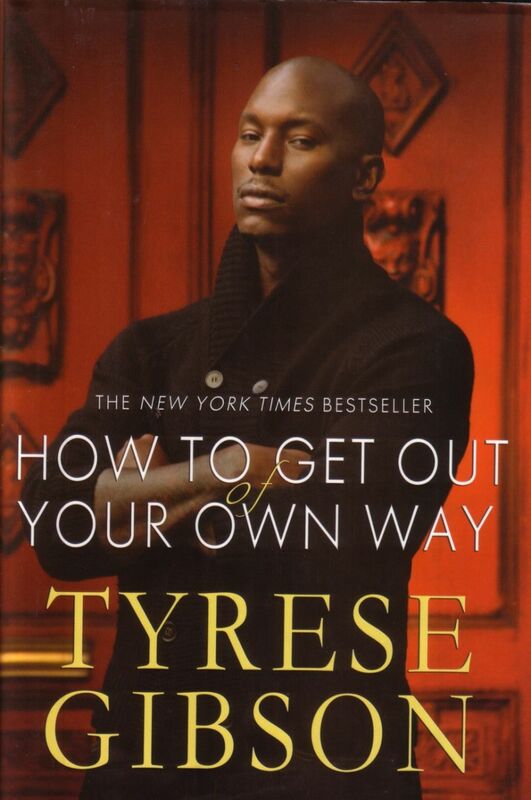 I recently finished reading Tyrese Gibson’s book entitled “How to Get out of Your Own Way.” I learned a lot in the amount of time it took me to read it. It actually took me a little bit longer than I had planned on it. But I believe everything happens when it is supposed to. I don’t think I would have taken heed to much of the information if I had read this before now. I preordered the book a while ago and it has been sitting on my shelf ever since. I have been doing a lot of soul searching lately. I’ve also been changing some things in my life for the better. I’m becoming a better version of me. So now was the perfect time to learn how to get out of my own way. Let me start by saying that I have been a fan of Tyrese since the beginning of his career. I’m not even sure how old I was when he did the Coca Cola commercial. But that is beside the point. I followed him to Hollywood and I later found myself growing closer to him through his “Love Circle.” For those who don’t know what that is, I’ll explain. 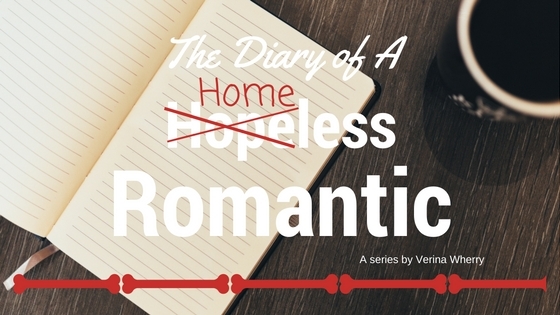 It started as him leaving messages on a voicemail service. He then started to give advice on life issues based on his experiences. Then people started to respond to these messages with testimonies and stories about how his messages were affecting their lives. I remember getting a text in the middle of the night saying that he had sent a new message. I would go to my room where it was quiet and listen to him for however long he felt like talking. It was interesting to say the least. He would say things like, “Think of me as your boyfriend, I’m here for you.” That may not be an exact phrase of his, but it works. I was intrigued, because he was filling that void for some people. I must admit that being single, I anxiously waited for his messages. I felt as though I knew him. So when he decided to publish a book, I had to be the first one to receive a copy. Enough about that, this book gave me so much information. I feel like I could conquer anything with the information that I learned. There are things in my life that I know were holding me back from enjoying my gifts and ultimately being successful. I won’t go into details, but I’ve become more aware of what I have to do. One of the things that he explained was your circle of friends. He asked who your five people are. I had to sit down and think about the five people who I spend most of my time with. I’m ecstatic to say that the five people I spend my time with are benefiting me greatly. There isn’t anyone that doesn’t sow into my life just as much as I sow into theirs. Things weren’t always this way, unfortunately. I would give, give, and give some more to people and would never get anything in return. Not saying that I give, expecting to receive anything back, I just believe in reaping what I sow. I also believe in sowing in fertile ground. If I sow into someone’s life and they aren’t bearing any fruit, then there’s really no point in me continuing to sow into their lives. I had to let a few people out of my circle over the past few years. Honestly, I’ve learned that the more you grow, if the people around you have no intentions of growing, then ultimately they will leave your circle on your own. Now that I know how not to be in my own way, I look at things differently now. I know that some people prefer not the read self-help books, but this one truly is worth the time. It wasn’t all common sense, and I’m sure there’s something in there for everyone. I said all of that to say, go get the book and give it a try. Tell me how it helped you. 1. I’m a hopeless romantic; therefore I give very romantic gifts, maybe too quickly at times. 2. I’m as forward as a girl can get. If I like you, you’ll know it. 3. I’ll write about you; however you may not get to read everything. 5. I’m absolutely in love with Nate Marshall. Don’t get too jealous, I’ve never met him before. 6. I listen to a wide variety of music. Don’t be surprised if you run across a mixed cd featuring Lee Brice and Luther Vandross. 7. If you take me out to eat, I promise not to order the lobster, but I won’t order the salad either. 9. I love to cook, so don’t be surprised if I invite you over to dinner a lot. 10. If I talk to my mom and you come up in conversation, it’s a good thing. 11. My sister is my best friend, if she doesn’t like you; it’s not a good sign. 12. I’m very quiet until you get to know me, then you might not be able to get me to shut up. 13. If I get too quiet, I probably have something on my mind. 14. My father passed away when I was young, so when the time comes be prepared to meet my pastor, he’s the next best thing. And yes his opinion matters. 15. Speaking of pastors, I value everything he says, I attend his church as often as possible, you’ll get cool points for coming with. 16. I read a lot; I don’t like to be interrupted while I’m reading. Most of the time it’s the only way that I get to unwind. 17. I love receiving random text messages throughout the day letting me know you were thinking about me. 18. 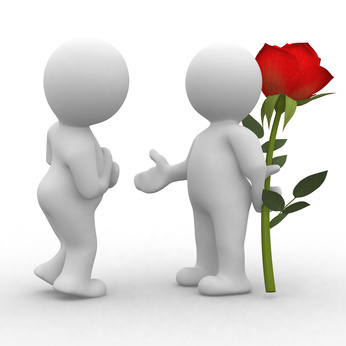 I would rather have conversations with you in person than over the phone if we can help it. 20. I don’t have any tattoos, not even sure if I want any. 21. I get excited about small things; it may be a good idea to humor me, even if you aren’t all that interested. 22. After a long frustrating day, all I may need is a hug, most of the time I’ll ask. 23. I like action, horror, suspense, and drama films. But I’m a true fan of chick flicks. I own more of the latter. 25. I have a huge heart, If you treat me right, I’ll be sure to make room for you. They say that cleanliness is next to Godliness….. But they do say a lot of things. Whether it’s true or not, it’s not a bad trait to have. I recently changed my major; this was a huge change in my life. Once I decided to do that, things seemed to fall into place. My mind was clearer. Everything made sense. I was no longer stressed out about what I wanted to do with my life. I tell my friends all the time to follow their dreams. I tell them that God will provide everything they could possibly need while allowing them to work in a career that they love. I tell them this, but I wasn’t following my own advice. It’s always easier to give someone else a solution than it is to solve your own problems. It was easier to follow a career path when I had everything planned out. But they’ve always said; if you want to make God laugh, tell him what you have planned for your life. That sort of came up and bit me in the behind. I had this entire six year plan that went out the window overnight. But it was actually for the best. I have peace of mind now and nothing is worth losing my sanity over. My faith is stronger because I trust that everything is going to work in my favor. With that being said, my mental is clean, so I have no choice but to clean the physical. When my space is cluttered, my mind is cluttered. Since my mind is no longer boggled down with unimportant issues, I recently decided to do a clean sweep of my room. I decided to get rid of the things that I don’t need and to organize the things that I do. This process seems to be taking longer than I planned. The world wasn’t built in a day, so I shouldn’t expect this to go so quickly either. I’m sort of excited to embark on this new journey. 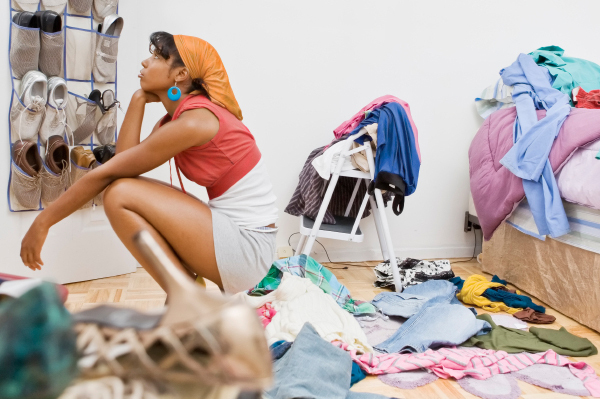 I’m going to donate clothing that I no longer wear and I’m going to get rid of other unnecessary items. I’m halfway there and I’m feeling a little bit lighter every day. Another part of this journey will be a healthy one. I’m starting my workout regime again. There was a time when I worked out every day, no excuses. I also ate healthier and I drank lots of water. I need to get back to that place. I was my healthiest, and I felt so good. No more fast food on a regular basis. My body deserves so much more. My body functions better when I treat it well. The rest is all spiritual. I’ve grown closer to God over the years. The closer I get to him, the more things make sense. I’m no longer stressing over the small things. With that being said, I also have room to grow. Keeping him first in my life will only lead to great things for me. I’m often placed in situations that cause me to evaluate my life. Living in a small town with not much to do, I find myself engaging in conversations with people who cross my path. The other night I had a conversation with a friend about relationships. Though our views were different, it was interesting nonetheless. We started discussing current situations. I say situations because neither one of us were in relationships. Neither of them seemed to understand where I was coming from. I’ve been known to be rather forward when it comes to guys. I’ve always had to work for the things I want. That applies to everything, in my opinion. I’m not even sure what it means to play hard to get. I feel like that’s playing games. I’m not the one to let my opponent beat me by default. Many tell me that’s a good thing but that’s not always been my experience. Guys seem to freak out when I let them know how I feel. I put all of my cards on the table and they fold. So you can probably imagine the effect that it had on me. I stopped letting them know. It also left me with a lot of regrets. Until now, I met this guy who didn’t fit the mold of anyone I have ever met before. He was so down to earth and genuine that I sort of needed him to know how I felt. So I told him and guess what…….. He didn’t freak out. He’s what some people call a breath of fresh air. But he’s what I call a rainbow after a downpour. You seem to appreciate the little things when things haven’t gone well in a long time. It’s quite refreshing. My conversation partner asked what made him so special. My answer was that he’s different. He never questions my motives, he just goes with the flow and that in turn makes it easier for me to be patient. I can be myself which says a lot about him. There’s no reason to put my wall up. I just go with the flow. It seems to fit our thing perfectly. Whatever that thing is lol. My Pastor once told me that you’ll know when someone is supposed to be in your life by how things go. If you don’t have to try, If things just flow, then they’re there for a reason. I wholeheartedly believe that. I had a conversation with my AACB last night and he mentioned his father. He talked about today being father’s day and their plans. Just that small mention got me thinking. I started thinking about my dad. Today is father’s day and I haven’t celebrated this holiday in quite some time now. See, my dad passed away when I was eleven. That seems like forever ago, but I remember it like it was yesterday. I remember the times that we spent together and the impact that he had on my life. I don’t like to talk about missing him too much because it puts me in this funk. I loved my Dad and I still do. He was the epitome of what a great man should be. He also loved me very much. I was his baby girl. There’s not a day that doesn’t go by that I don’t think about him and wish he was here. There have been times that I wanted to call him for advice or just needed to lay in his arms and cry over some boy who had broken my heart. However, I seem to have managed to do okay. Now relationships, those are a different story. I seem to look for traits of my dad in the men that I date. My dad had qualities that seem to only come once in a lifetime or once in a generation. So I’m looking for the Paul of my generation. A man who ‘s loving, kind, spiritual, caring, giving, and funny. A man who takes care of his responsibilities even when things don’t look so bright. A man who takes care of his kids and marries a woman who loves him dearly. A man who treats his daughters like princesses and reminds them that they are beautiful and any guy who doesn’t think so can kick rocks. He truly was the almost perfect man, since no one is perfect. He came pretty close though. I couldn’t have asked for a better dad. I’ve said all of that to say this….. Cherish your father, not everyone has the opportunity to spend time with theirs. Spend time with him while you still can. 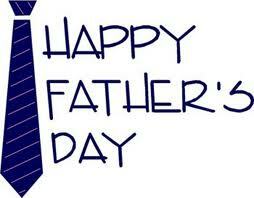 I also want to say Happy Father’s Day to the men who rightfully wear that title. Father’s day is a wonderful holiday. But for me, it’s a Father’s Day minus one…..
R.I.P. Dad!! I love and miss you every day. Sometimes I find myself treating dates as though I’m a lot older than I really am. It’s difficult to date when my taste in men seems to differ from the type of guys I’m usually around. I’m a hopeless romantic at heart. I can see myself falling in love with my best friend or meeting someone in a cafe and sparking a conversation that lasts for hours. I use to be so in love with the feeling of being in love that I sometimes mistook that for being in love with that person. That was obviously a mistake. I’ve grown a lot since then. I’ve realized that no matter how much I want to be in love, what matters most is who I’m in love with. I’ve also learned that if that person doesn’t love themselves it’s completely irrational to think that they would be able to receive love from someone else. I found myself trying to love a man who didn’t really know what it felt like to be loved. He didn’t really love himself so when I showed him what it was like for someone to love him unconditionally, he didn’t know how to receive it. He wasn’t able to accept it for what it was. Another thing that I learned, never give more than someone gives you. If you’re giving more than you’re receiving in a relationship, then you’re sowing into the wrong soil. I thank my pastor for that lesson. When I love, I love wholeheartedly. I’ve never been the type to minimize my love to fit someone else’s needs. I guess I tend to give overdoses. It becomes too much for them to handle. Especially when the feelings aren’t returned, things tend to end badly. I’ve also learned that you don’t always end up with the person you think. Some things are better left alone. Everyone has that one that got away. Maybe it was your fault, maybe it was theirs, or maybe it was something beyond your control. It’s even harder to handle when you have to see that person every day. I’ve said all of that to say this, things don’t always go as planned and everything happens for a reason. But no matter what, you have to accept it.